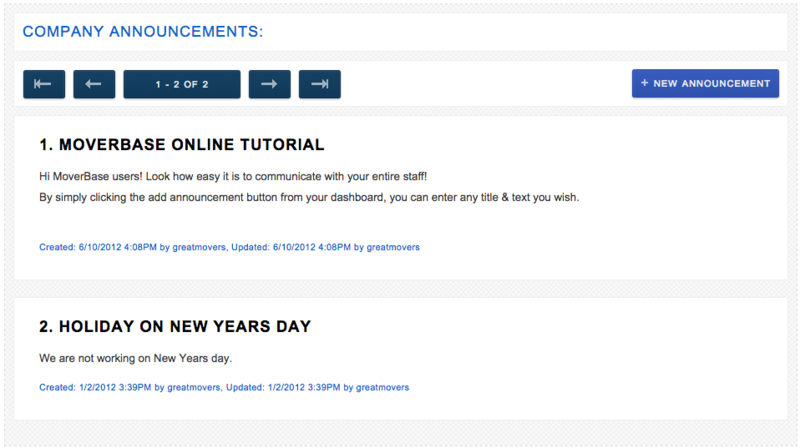 Moverbase offers a feature where Company Announcements can be posted. This can be anything from a reminder to a Company party. What ever you want your staff to know!